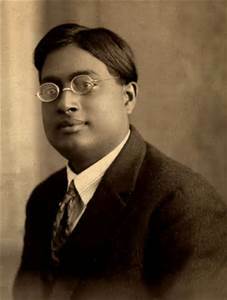 Satyendra Nath Bose ( 1894-1974) was an Indian physicist whose seminal theories in quantum mechanics prompted a collaboration with Einstein, and led to the development of the Bose Einstein statistics and to the creation of the field of quantum statistics. The theoretical physicist Paul Dirac named the class of particles that obey the Bose Einstein statistics, bosons, in honor of the Indian scientist. The S.N. Bose Scholars exchange is a scientific research reciprocation program between U.S. and Indian academic labs, primarily for sciences other than biology, such as the physical sciences, mathematics, engineering, quantitative social sciences, oceanic, atmospheric and astronomical sciences. Research is conducted in the collaborating country’s academic labs, for a period of 8-10 weeks in the summer, from May to July. Approximately two candidates are chosen to represent each field of research, and a total of about 60 applicants will be selected to study abroad in a lab which is recognized in its field of study. American undergraduates and Indian students enrolled in a Bachelors or Masters program are encouraged to apply. Applications will be accepted again starting Fall 2018 for the Summer 2019 program. To learn more about students and mentors who have participated in the SN Bose Program, click here! There is also the reverse SN Bose Program, which gives students in the United States an opportunity to travel to India for 10 weeks of research with a professor of their choice. The students are funded for their airfare, housing and also receive a stipend that covers living costs while in India, such as food and transportation. For more information on the US Bose Program click here!